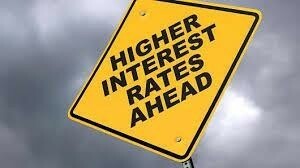 How Will Rising Interest Rates Affect Me? If you’ve heard the Fed is raising interest rates but aren’t exactly sure how this may affect your investments, you’re not alone. The last substantial rate hikes were in 2006 and, as a result, investors are accustomed to artificially low interest rates. The Fed has maintained interest rates at or near zero since December 2008 to support increased economic growth and to bolster the economy. So why is the Fed raising interest rates now? The economy may not be overheating, but many leading economic indicators show positive signs. For example, the labor market has improved significantly and the unemployment rate is now below 5%. Jobless claims were at a four-decade low earlier this spring. In addition, consumer confidence has risen as of late and currently stands at a 15-year high. Janet Yellen, Chair of the Federal Reserve, has telegraphed a potential rise in rates for some time now. Why does the Fed Chair hint at interest rates before deciding to actually raise them? The simple answer is the markets hate uncertainty and prefer the central bank to broadcast its intentions before implementing the hike. When the Fed (somewhat) unexpectedly raised rates from 0% to .25% in December of 2015, January of 2016 began with one of the worst starts to a year in stock market history. In fact, some exchanges declined in excess of 5%. Good News: Your “cash” will earn higher bank returns. The miniscule returns from savings accounts and CDs (certificates of deposit) in recent years – due to the Fed’s near-zero interest rate policy – has discouraged savers. That trend will soon change. It won’t be a sharp increase, but expect bank and CD returns to move higher and generate slightly more return on cash. However, borrowers will be negatively impacted since the cost of borrowing money will go up. Bad News: Longer-dated bonds could be hurt. Investors who invested in longer duration fixed- income securities will see those values decline. Once the Fed begins raising rates, it will affect longer dated bonds such as the 10-, 20-, and 30-year treasuries. Why? Imagine you invest $10,000 in a 10-year bond that pays 2%. Now imagine rates on 10-year bonds jump to 3% and you want to sell your investment. Could you sell your bond at its $10,000 face value? Absolutely not. Why would an investor pay face value for your bond when he could invest $10,000 in a new 10-year bond and earn 3%? As a result, the bond’s value will decrease to offset its lower interest rate. Good bond managers have kept shorter-duration bonds (less than 5 years) as a way to be defensive against an increase in rates. Their shorter maturity means less price volatility in case of interest rate changes. Make sure your investment adviser has created a “rate-hike-friendly” strategy for your investments in bonds. Good News: Stocks may continue to gain, but investors should be picky. Investors in individual stocks don’t necessarily need to fear rising interest rates. However, it is important to recognize that some sectors will perform better than others. While there may be some near-term volatility when the Fed raises rates, this decision is usually an indication the economy is performing reasonably well. In the previous prolonged cycle of interest rate hikes from June 2004 to June 2006, the total return for the S&P 500 (Standard & Poor’s 500 index) was 15.5%. The banking sector is one example of an area which could benefit from rising rates. Bank stocks, especially regional and community banks with a small capitalization, should see core deposits increase. As banks receive more deposits, they will have more money to lend and make profits on. Insurers should also benefit during rising-rate periods because they earn higher returns on the premiums they take in. Conversely, higher rates may hurt other sectors which are sensitive to rising rates. Utilities and some real estate investment trusts do not usually perform well in a rising interest-rate environment. Bad News: Borrowing costs will rise. As the Fed raises rates, consumers will be faced with higher borrowing costs. For homebuyers with a floating rate loan, their mortgages will increase. If you are looking at buying a house, be careful when considering a floating or adjustable rate mortgage. And don’t put off buying a home for too long as an increase in rates may cause you to not qualify for as much home as you’d like. When it comes to credit cards, rising rates will mean it takes longer to pay back their balances. As the payback period stretches out and the cost of interest climbs, debt burdens will become harder to repay. Consequently, terms of credit may tighten up and people who are used to lots of low-rate offers could be cut off from cheap credit. As the New Year begins, investors would be wise to examine how best to position their portfolios and loans with the impending changes in the interest rate environment. This entry was posted in Economy and tagged Fed Increasing Rates, Interest Rates, Interest Rates Rising, Janet Yellen. Bookmark the permalink.